The problem, how to get a person living with dementia to take their medication? Getting a person living with dementia to take their medication is often difficult, and is a common problem that is faced by Alzheimer's caregivers. This can be one of the most exasperating challenges that Alzheimer's caregivers, and dementia professionals working in memory care facilities face. 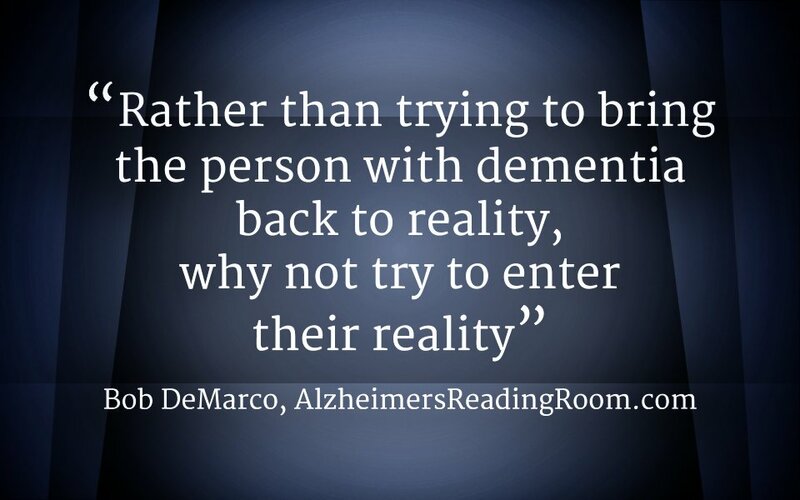 Like many, I faced this problem with my mother, Dotty, who lived with Alzheimer's disease. Over time, through trial and error, I finally learned an effective way to deal with this problem. Let's start by examining the dimensions of the problem. Have you ever tried to explain to someone living with Alzheimer's disease why they should take their medication? Do you end up going into some kind of long winded explanation about why they should take the pills? As you do this, are you trying to reason with them? After trying to reason with them do you finally become exasperated? Maybe a bit irritable? Sometimes at "wits end"? 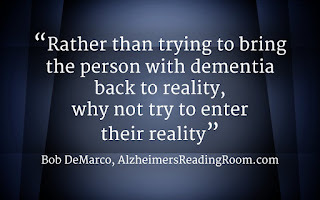 Do you find that the harder you try to reason with a person living with Alzheimer's disease the more resistant they become too what you are trying to accomplish? Did you ever wonder why they become more resistant? For example, did it ever dawn on you that by supplying to much information they become confused? Information overload is not a good thing for someone who is deeply forgetful. Too much information tends to confuse people living with dementia. Once confused they really don't understand what you are trying to do. Ask yourself, can you operate effectively when you are confused? How do you sound when you are trying to give someone living with Alzheimer's their medication? Does the sound of your voice change as you become irritable or exasperated? Do you start to lecture? Do your words sound harsh in any way? How do you react when someone speaks to you in a harsh tone of voice? Are you more, or less, likely to do what they want? How do you react when someone tries to force you to do something you don't want to do? It is important to go outside of yourself and to start thinking about what the person living with Alzheimer's might be thinking and feeling. It is important to look at their face and try to determine how they are feeling. It is important for you to understand that their brain no longer functions like ours; and, a person living with dementia does not process information the same way we do it. As a result, they don't think and absorb information the same way that you and I do. They can get easily lost when you start piling the information on with one explanation after another. Here is something I learned. When you want to get someone living with Alzheimer's to do something the less you say the better the outcome. The best approach is to use nonverbal communication. When it is time for my mother to take her medication my goal is to get her to take the medication without saying a single word to her. This is important -- I handed her one pill at a time. I used a small, light, glass of water. I made sure she was sitting up in a sturdy, comfortable place. Without saying a word, I would hand her the glass of water. If she asked what it is for, I ignored her words. I just help the pill out in the palm of my hand. Hold the first pill out in front of them so it is easy to see. Give them a chance to absorb the information into their brain. Don't hurry. If you are having a problem getting your loved one to take the medication it is likely that they will say something negative to you. Ignore those words. Don't say anything. Just hold the pill out in front of them. It was not unusual for my mother to tell me I was trying to do something bad to her. Or, that she didn't need any medication. In fact, she usually told me how healthy she was. I would just stand there and I didn't say a word. Even though she might be saying something very negative about the situation, or the medication, I waited for her to take the pill out of my hand. She would do it every time. Second pill. Third pill. Same story. I would also encourage my mom to drink the entire glass of water. Alzheimer's caregivers often have trouble getting the patient to drink water. If you can get them to drink the entire glass of water you are also working on and solving that problem. Once my mother took the pills it was now time to add a healthy dose of positive reinforcement. I say something very positive to her. Usually about the water. Then I give her something she really likes. Always use the hook, line, and sinker when communicating. My mother loved coffee. So after she took the medication I give her the coffee. I always say something positive. Here is a nice fresh, hot cup of coffee. It is really a nice sunny day outside today. Lay it on thick. Try it. I used the combination of nonverbal communication and positive reinforcement to set up a pattern. The positive reinforcement in essential to excellent caregiving. At night, I usually started by saying -- its ice cream time. This puts my mother in a positive frame of mind. She loved her ice cream and almost always said something positive about the ice cream. First I would give her her medication like I described above. I would then bring out the ice cream and say something very. When she finished the ice cream I asked, how was it? Most of the time she saaid delicious. I leveraged that up with a nice positive steam of words (consciousness). I always try to turn every situation positive. Back to the problem. If the Alzheimer's patient won't take the pills then you need to recognize that what you are currently doing is not working. 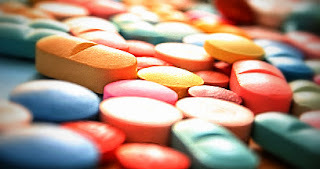 You need to search for a way to turn the taking of medication into a positive experience. Here is your goal. To establish a pattern, and a pattern of behavior, that is going to be effective and long lasting. Let me warn you. The solution I am suggesting might not work immediately. It takes time and focus to establish an effective pattern and change behavior. You can continue to complain about the person living Alzheimer's over and over and over. Or, you can change the rules of the game. You start this change by changing the way You deal with the problem. Difference Between Alzheimer's and Dementia?